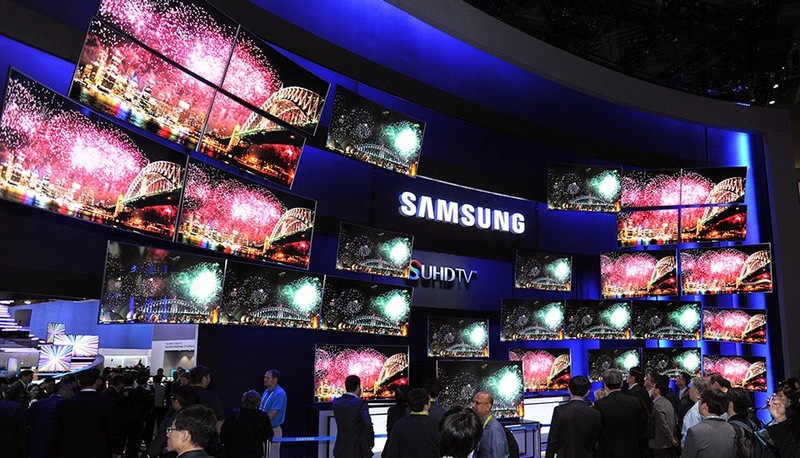 Samsung is always pushing its TV screens quality to a higher level, and after the 4K Ultra HD TVs (UHD), now it's the SUHD TVs, the letter "S" is not yet explained by Samsung, but it could stand for "Super", anyway, it is the new 2015 upgrade of the Samsung's TVs. The SUHD TVs are based on the Quantum-dot technology, a technology that is announced dangerous because it use the cadmium chemical element, but the company is claiming that their TVS are cadmium-free, the same claims of LG that used the same technology. 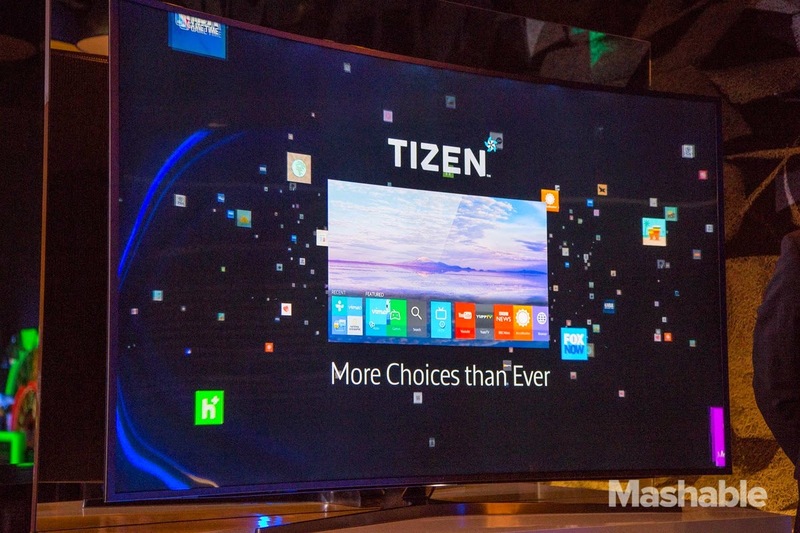 The New TV is based on the Samsung's own OS, Tizen, the company said that they have improved the display picture quality using "intelligent re-mastering picture engine", the smart TV also feature mirroring the display to your Galaxy smartphone, and also the opposite way, the smart platform contains a sidebar called Briefing that will allow you to schedule turning ON and OFF your TV at specific times. The Tizen platform comes with the Smart TV store that contains several TV games based on gestures, you can also play these games using just your smartphone or smartwatch. The TV models available for the SUHD line are the JS9500, JS9000 and JS8500 with 48 to 88 inches screen sizes, some of them are curved, the others are even bendable ! The most amazing TVs are the bendable ones, those TVs use the same SUHD technology, and they come in huge 105 inches size, the device can bend on your command to let you adjust how much you want to curve the display !